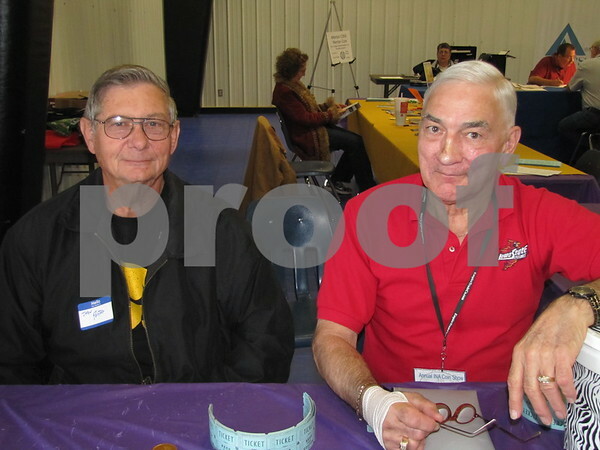 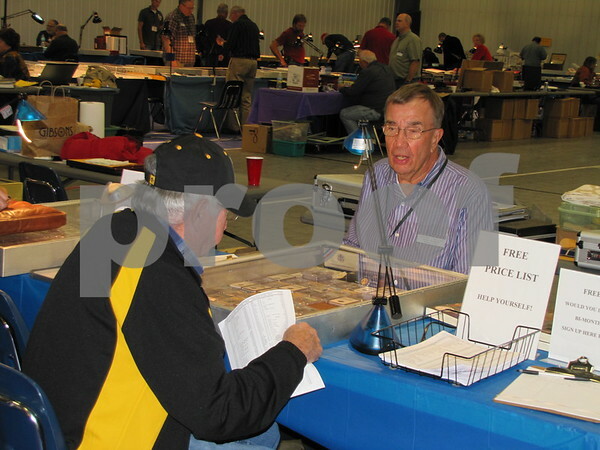 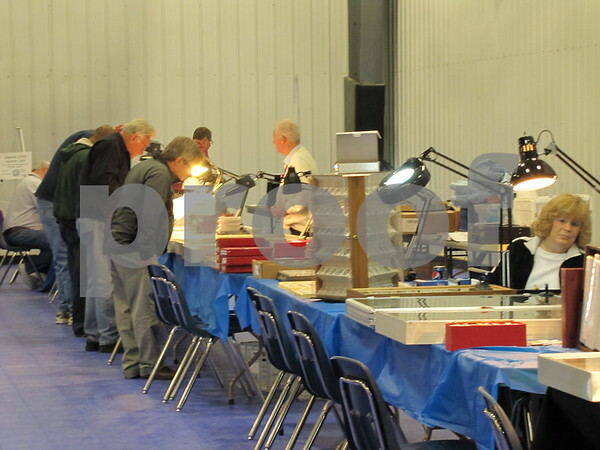 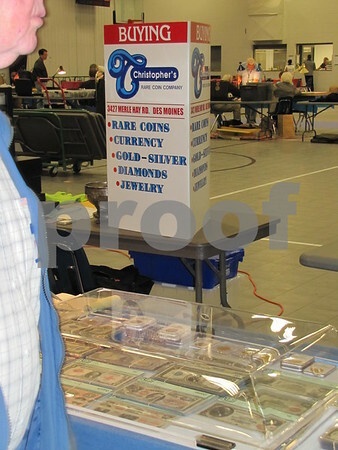 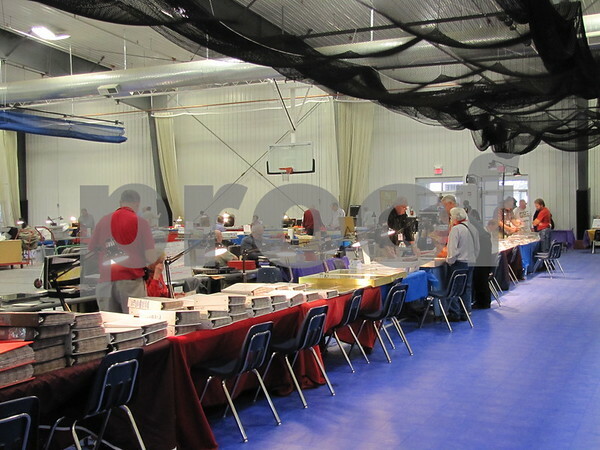 John Porter and Pete Fritz of the Fort Dodge Coin Club welcomed visitors to the Iowa Numismatic Association's 74th Annual Coin Show held at the Career Education Building on the ICCC campus. 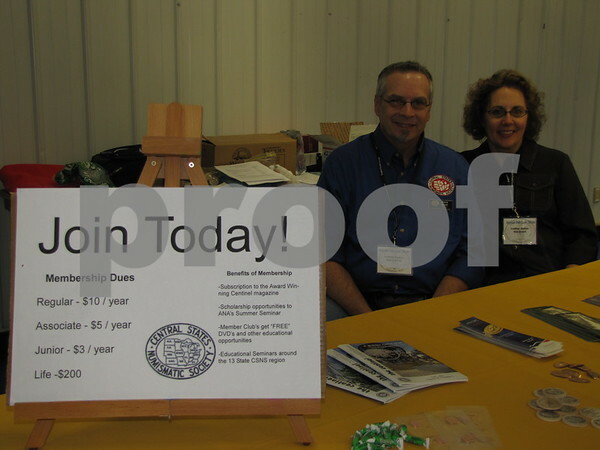 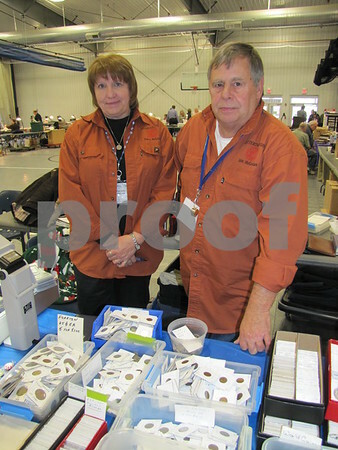 Mitch and Kim Ernst of the Central States Numismatic Society were present to offer information on the society and encourage membership. 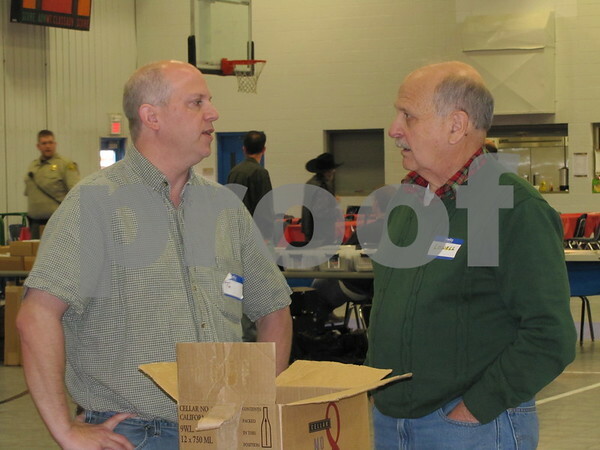 Mitch is the Govenor for the CSNS. 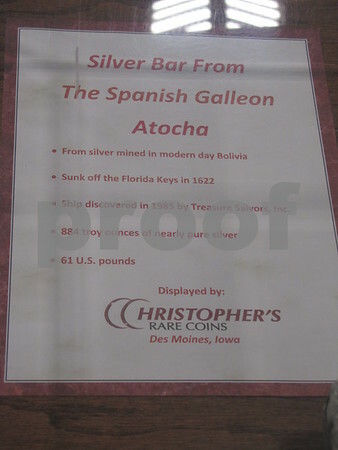 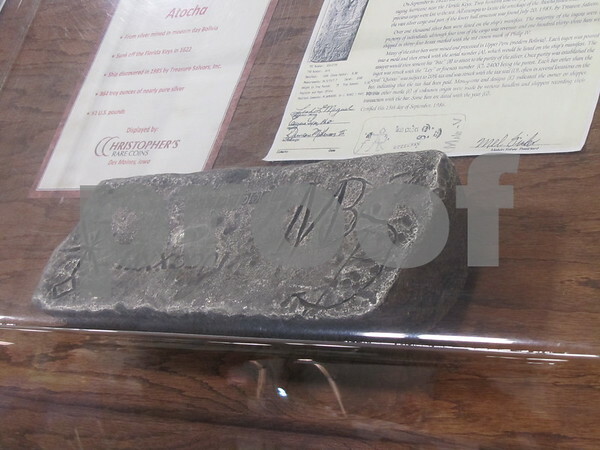 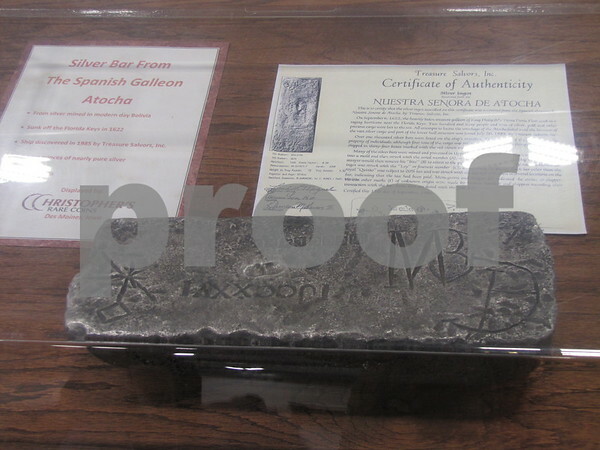 A large silver bar from the Spanish galleon Atocha was on display. 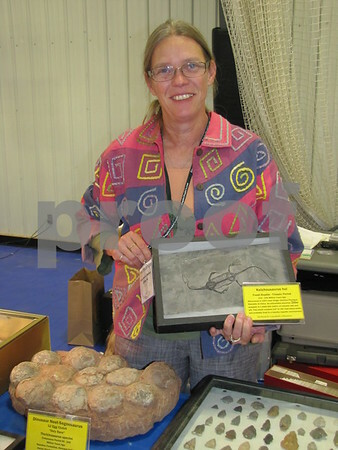 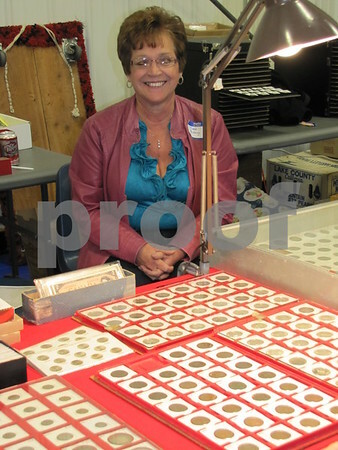 Carol Moberg is the secretary of the Fort Dodge Coin Club. 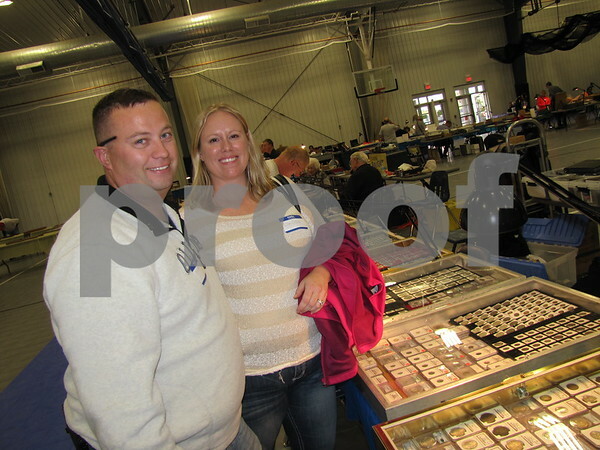 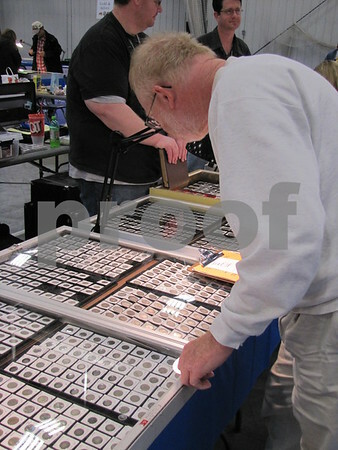 Jeff and Lisa Collins enjoyed looking over the collections of coins.